Eddie Coyle - Is Southie in mourning? His approval rating is probably at Ted Kennedy levels around here. Which is to say, much much lower than people would realize. His betrayal of the IRA becoming public killed off any Fenian support. The mythology around him withered with the years. * I'll say this though. Very few "innocent" victims in his midst. Those 19 murder victims were of "his world" be it as major players or those on the fringe. Everybody knew about Whitey and his confederates. Crooks incorporated. ** I prefer the old Bulger gang to what we've seen take over in recent years. Latin Kings ascending. His betrayal of the IRA becoming public killed off any Fenian support. That's one thing he did right. They're a bunch of cowardly, murderous scum, as are their Protestant counterparts. Whitey helped destroy the remnants of the I-talian Mafia in Boston, which may be his only real shining moment. But outsmarting them wasn't exactly difficult. The Angiulo Family were pygmies. At least, the Mafia (who are horrible guys) don't blow up entire families. Even they aren't that low. ETA: I want a united Ireland, which is where half of my ancestors were born, and the United Irishmen had it right when they excluded religion from the equation. The IRA and various Protestant groups were extremely destructive, counterproductive obstacles to peace, destroyers of possible unity. On another serious note, I deleted the reference to your relative in case you were serious. I couldn't recall if you posted any info about him or not. I removed the comment in case it was supposed to be private. I won't betray any confidential information, no matter who's involved, although I still think that you're joking, but there's always a chance that you're not. I'm posting this in good faith. Take it for what it's worth. I likely won't be around these parts past this week due to our changing schedules, so I'm sorry that we got into it. You don't know me from Adam, so it's cool if you accept or reject this peace pipe, but it's no crime to mend fences, and I wish you well. LOL at the irony. Gosnell? Betrayed confidences indeed. I'm disappointed and surprised by a third party, but we all make mistakes, and I'll forgive that too. MV, this isn't a flame. I'm sorry for the ruckus. I tried to be on my best behavior since this is your internet business or home. I don't like to make needless waves. I consumed too much Warm and Fuzzy before I typed the above posts. I was in an artificial friendly, happy mood, which wasn't fitting for the hostile environment. I'm embarrassed by my Pollyanna-ish act, and I shall endeavor to try to be more of a jerk in the limited time that I post here. Props to my fine motor skills, under the circumstances, though. The sick thing. John Martarano kills 30+ people...and serves 5 years because he testified against Whitey. Johnny "Sickle Cell" Martorano. His nickname for using blacks as target practice. HE gets 5 years. Well, now this guy is never gonna squeal. Real or not, this is now the new narrative. I'll be honest--Scorsese flicks put me to sleep, and even Leo's chubby cheeks couldn't maintain my interest through the whole thing. So I have no real awareness of how important this guy's leverage was. Does anyone here know whether I should be happy or not on this news? Pull my string! Watch me think! "Boston-area gangster James “Whitey” Bulger was found dead Tuesday in a federal prison in West Virginia, NBC News and other outlets reported. He was 89. Bulger died one day after being moved to the West Virginia penitentiary from Florida via Oklahoma, according to NBC News. The Boston Globe reported that Bulger had been killed inside the prison, and a “fellow inmate with Mafia ties” was being investigated in his death. A U.S. Attorney’s Office spokesperson confirmed that the feds were investigating but would release no other information." Ah, yes. Not to worry. The Feds will "look after you." Just like they always do. Somebody "doing some work" on an 89 year old man. Lie with dogs, you tend to get fleas. Couldn't have happened to a nicer guy. His lawyer wanted him moved to this jail. Or so I am told. 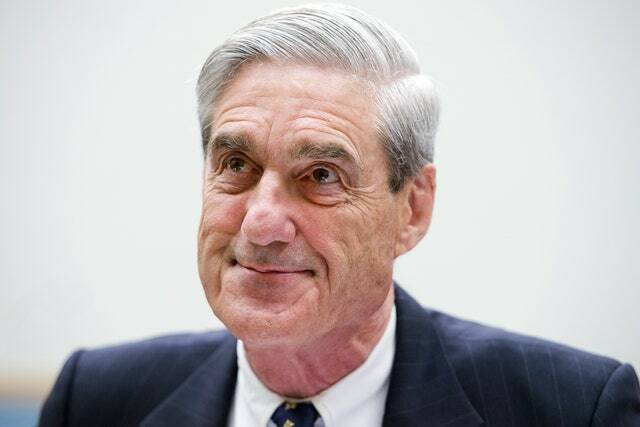 Word on the street is that Mueller ordered the hit, was caught, and is now extra-fucked, hence the "highly credible witness" canard. Me, I think: Lodge orders is Lodge orders. They whacked him five minutes before the Grim Reaper could. He was almost 90! Thanks for the memories. I now remember what caused the feud. It was Whitey Bulger related? Don't let it Troubles you. That's a hint, lad. This is what lying looks like. Study it for later.